What man is there who doesn’t want to “weigh anchor” and find his natural freedom over the water… like the Spirit that “Hovered over the waters?” Now I am not saying that the Holy Spirit was hovering in an Inagua Sharpie – but He was hovering over the water- and I intend to do my best to do just the same. And getting in touch with water is fundamental. After all water is a very excellent and reasonable guess about the origin of all things. The great Thales was the one who first proposed this. No wonder then that every man has a desire to sail. Front view. Sheer clamps attached! 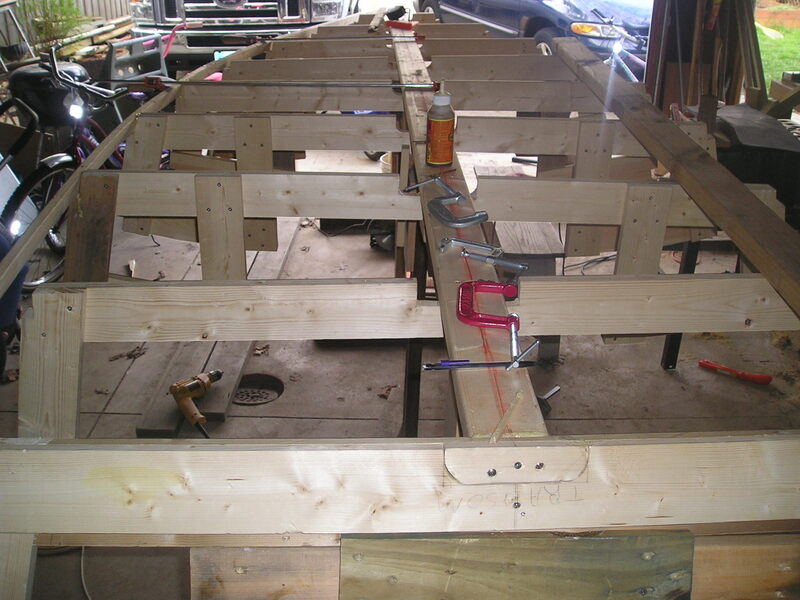 I need to attach the “chine logs” now, which are the longitudinal “elements” that run parallel to the sheer clamps. 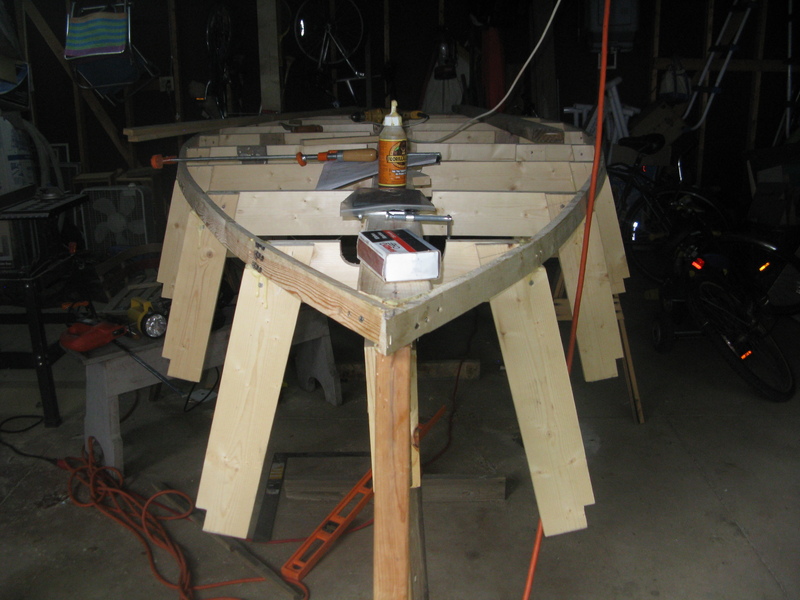 As you can see the “boat” is upside down on top of a very shaky “strong back jig.” The strong back jig is the very first thing one makes, of course, when building a boat. But one really has to pay attention to the name – because the tendency of the sometimes-boat-builder is to say things like “there… that will do” Or “I guess that will hold” or “this is good enough.” But then the thing begins to take shape and weight is added bit by bit incrementally and voila!… the thing is 200 pounds and one thinks “if only I had made the “strong back jig” a little stronger! I need to start thinking about a mast. If anyone has a ten or eleven foot long laminated mahogany cylindrical pole about 3 inches in diameter let me know. This entry was posted in Uncategorized and tagged Belloc, INagua Sharpie, Sailing. Bookmark the permalink. “The sea drives truth into a man like salt. A coward cannot long pretend to be brave at sea, nor a fool to be wise…” – What does Belloc mean by this? How does the sea do this to man? Well…I am imagining (from my own limited encounters with the sea) that the sheer reality of the salt sea and battling the elements on one’s own makes a person quickly give up any kind of false pretense. The sea makes one know oneself…one’s insignificance…one’s weakness….man’s nothingness! I experienced all of this once in a canoe on a small pond in Maine on my honeymoon….so I am thinking “a fortiori” the sea! “…nor a fool to be wise…” One does not sail a ship without some prior knowledge or experience for such a folly exposes the pretender. I noticed your Inagua Sharpie appears flat bottomed. Why are Sharpie’s flat bottomed? How does this differ at sea and while mooring? Ouch! Well I do intend to practice a good deal in some small lakes….always with plenty of lifejackets. Of course I am also hoping that my prior experience as a child living on the coast of Maine will come to bear. The Sharpie has a flat bottom- but it will have a sliding centerboard just in case you were wondering. Supposedly it is fast and also easy to row! 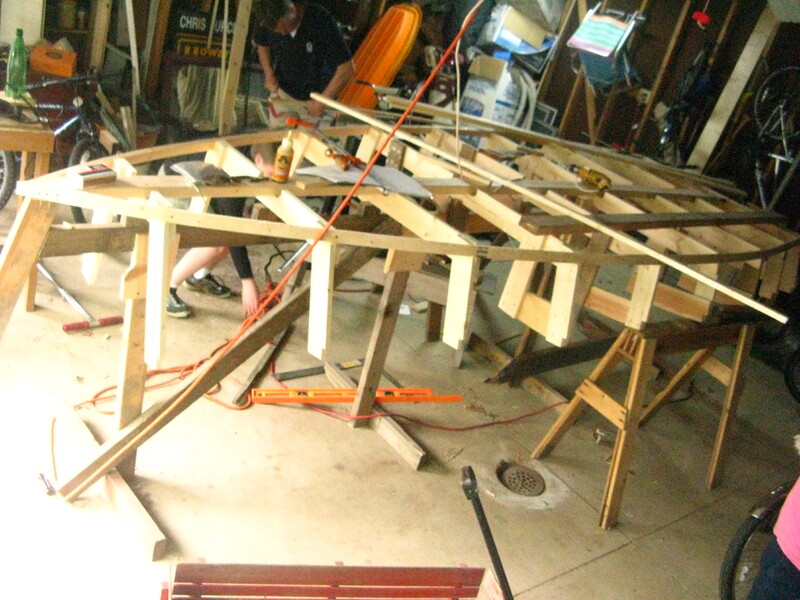 Not to mention the fact that its flatness will contribute well to its traditional ability to sail in shallow waters.